Core77, a industrial design magazine and resource, launched their limited edition Dutch Master last month. 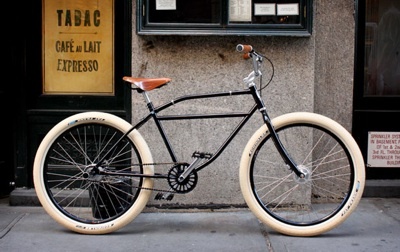 The Worksman cruiser should start arriving in cyclists’ garages about now. Core77 deserves props, but we’d also like to see a bike of the future with a nod to the past. Rather than just another nod to the Dutch.